Why Introduce MacBeth in Elementary School? of course leads to a tragedy when Macbeth begins killing people in order to gain power. Many lessons abound about who we are as humans, morality, and whether or not our destinies are ever set. The biggest lesson to be gained, naturally, is that every action has a consequence. In part one of this series, I presented a series of arguments advocating the teaching of Shakespeare and other classical literature in the elementary and middle school classroom. Here, I outline a plan for teaching one of the best-known plays in the Western Hemisphere to the younger set. adapted by Bruce Coville (ISBN 0803718993). Another great adaptation is Lois Burdett's Macbeth for Kids (ISBN 0887532799). A third adaptation option is Jennifer Mulherin's Shakespeare for Everyone: Macbeth (ISBN 1842340603). It is recommended that you take a look at each of the three of these to determine which edition will work best for your classroom. Even if you choose the Coville or Mulherin adaptations, you may wish to have Burdett's book on hand for inspiration. I also strongly suggest procuring a copy of the Shakespeare Animated Films and Soyuzmultfilm: Macbeth produced by Random House Video. Shakespeare was meant to be watched. The video runs thirty minutes and is available at many libraries. 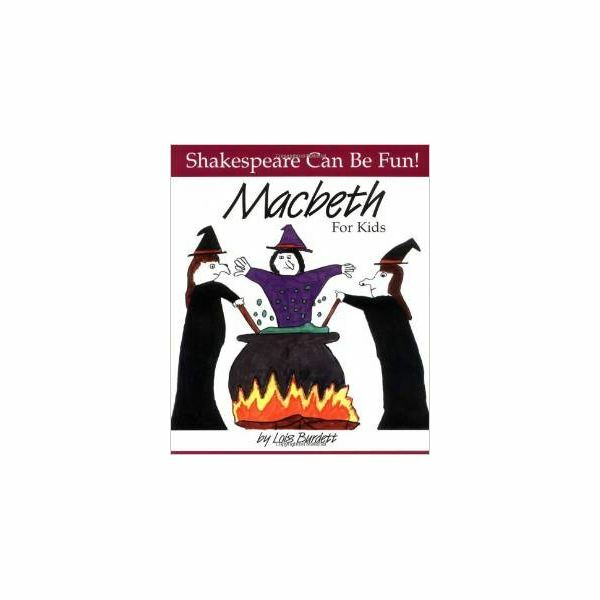 Finally, you will want to have either coloring pages based on Macbeth (for the younger set) or plenty of paper and creative materials for the art project accompanying this lesson. For fun, you may want to wear a witch's hat or dress as a witch when beginning the unit on Macbeth. Day 1: Introduce the book (wearing the witch costume, if desired) and read the story of Macbeth. After reading the story, discuss the story elements to ensure the students understand the characters, plot, setting. You may wish to discuss kings and queens in history as well in order to help students link the classic work to a historical period. Day 2: Watch the animation. Once the animation has finished, have students discuss the difference in experience between reading the book and watching the play as it is acted out. Day 3: Art Project Day: Have the students draw out their favorite scenes of Macbeth and write a synopsis of the scene they are describing. If you wish, you can break the story down into component parts and have students work in groups. Each group will write a section of dialogue for the part they are illustrating. Day 4: Present the art projects or act out the play. If the students drew their individual interpretations, have them present their drawing to the class. Otherwise, have each group present their drawing and act out their parts. Day 5: More discussion. Discuss the moral significance of the story. Ask the students whether Macbeth had a choice in his actions. You may also wish to discuss possible alternative endings. You may wish to take a look at Trent Lorcher's article about symbols used in this play for further suggestions on teaching this classic to older students.